Photographers spotted Rihanna heading into a restaurant in Los Angeles on February 5. Apparently she had dinner with Jay Brown, her longtime manager. The singer looked chic in an all white ensemble that included some sport pieces by Louis Vuitton. This is the second white outfit in recent days. The Barbadian beauty is a big fan of Virgil Abloh (her favourite shades are from Off-White and she recently donned a shearling coat by the brand). So of course she sat front row for his debut Spring 2019 menswear collection for Louis Vuitton and this top and pants are from that collection [Look 3]. 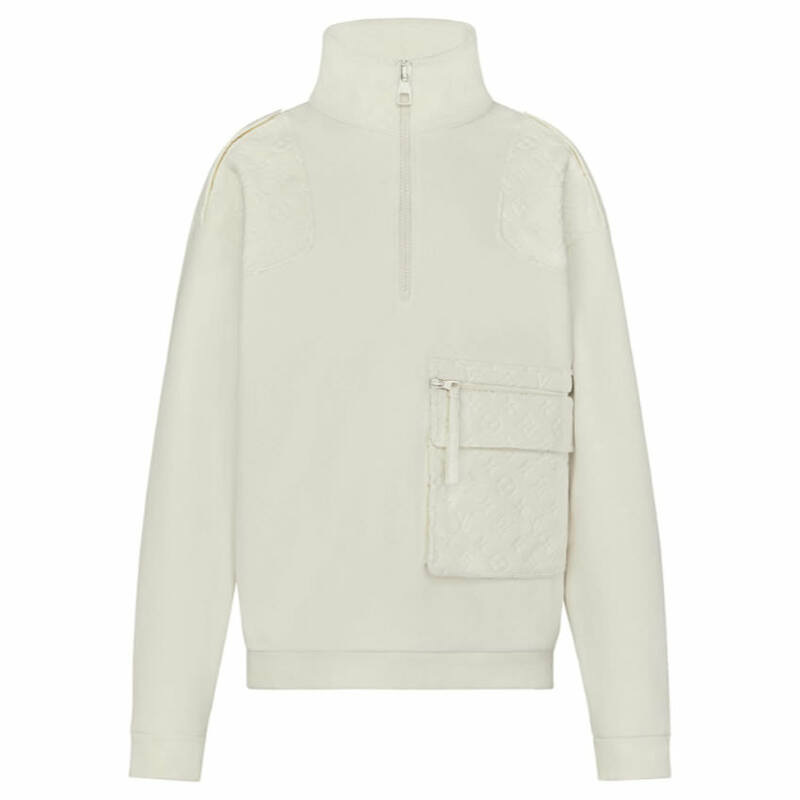 The top is a velour multi-pocket sweatshirt. The velour was bonded with neoprene to create a rounded look. The pockets feature the brand’s iconic monogram. Rih is definitely here for the cargo pants trend. A few days ago she popped up in some Dries Van Noten pants. 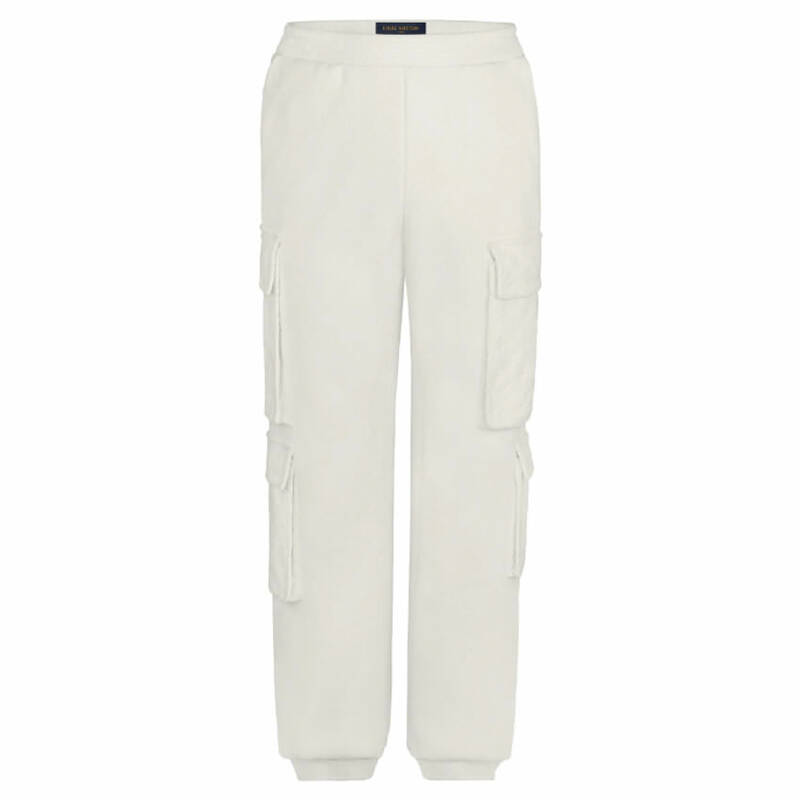 This time she rocked LV’s velour multi-pocket cargo pants ($1,600). It’s made of a mix of velour and neoprene and has monogrammed pockets just like the sweatshirt. The superstar also rocked a pair of Celeste sandals by Olgana Paris. 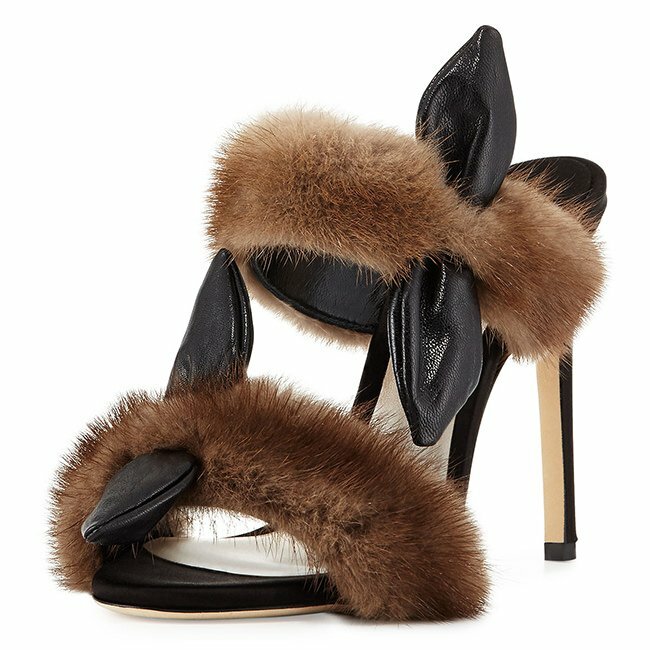 Pictured above in brown, the mules feature mink fur straps with leather bow detail. These shoes are not available online at the moment so contact the brand to find out where to shop. Finally, she sported a fabulous pair of Balenciaga earrings from the Fall/Winter 2018 collection [Look 69]. 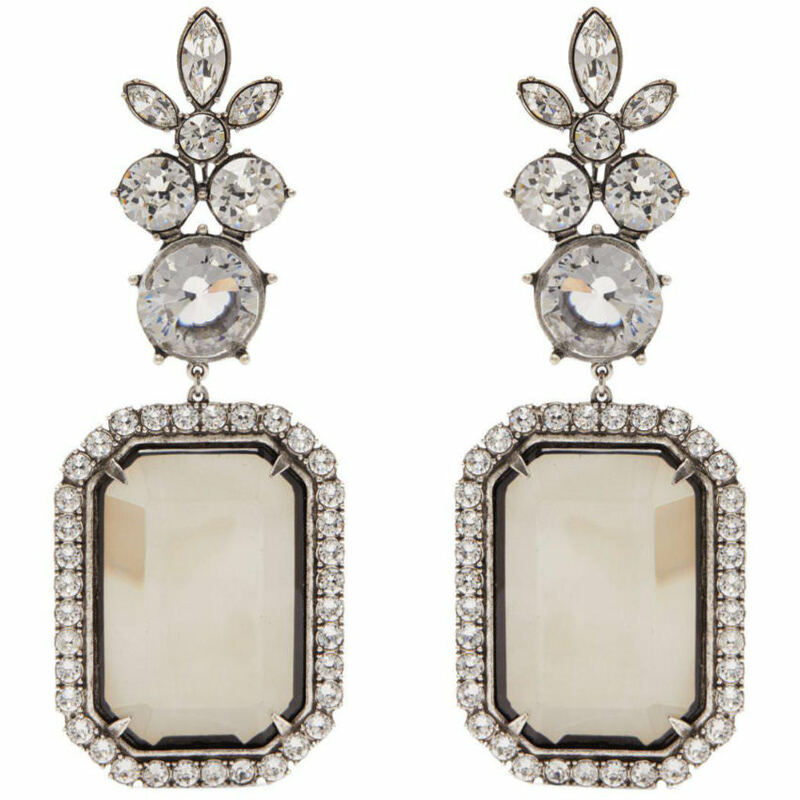 The crystal drop earrings feature a floral design and oversized, rectangular stone. Unfortunately, they appear to be sold out online.